Will Your Relationship Change When You Get Married? It doesn’t matter how long you’ve been with your partner, marriage can definitely change the dynamic. It doesn’t always change. If you’ve been together 10 years, lived together, and already had kids before marriage, then it’s unlikely it’s going to change much. You’ve already been through such a lot! 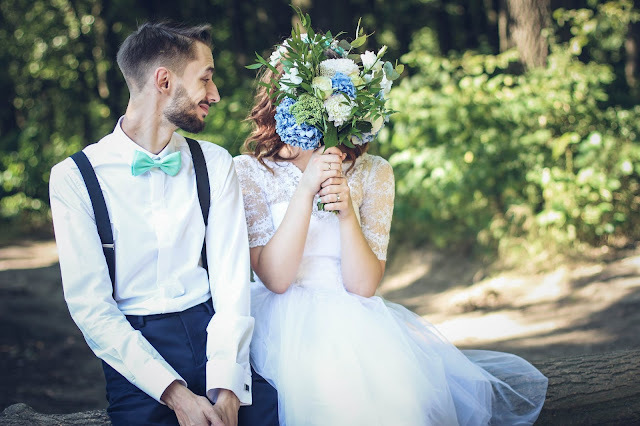 However, if you’re not that far in and you’re wondering how marriage could change your relationship, read on to find out.. Marriage can potentially bring you closer together. You may take each other’s last names, or make a new one entirely. You’ll feel like family. You’ll both become each other’s number 1 priority, if you weren't before. You might make one another your next of kin, and even start referring to one another in conversation with other people as ‘my husband/wife’ - which doesn’t get boring, by the way! Providing you do it for the right reasons, marriage is definitely something that can bring you both much closer together. When you get married, you plan on being with one another for an awfully long time. This of course, means you really are going to see each other in those better/worse states that you talked about in your vows. You’ll see one another when you’re sick, injured, hungover - the list goes on. Of course, this also means you’ll feel more comfortable with one another. Found something weird on your body? Your spouse can check it out for you. Need somebody to hold your hair back while you’re sick? Your spouse will likely be the one to help. They aren't the nicest situations to bring you closer together, but they do help you both to feel more comfortable. As husband and wife, you’ll probably come up with a bunch of your own cute traditions. This might be a favorite restaurant you go to for your anniversary, breakfast in bed on Saturdays, or something entirely different that you both enjoy. Although getting into a routine isn’t always the most exciting part of marriage, cute traditions like this can make it much, much better. If you haven’t already had kids, people will probably nag you more about having them. In fact, as soon as you’re presented with one of the engagement rings at 77 Diamonds, you’ll probably hear cries of ‘baby next!’ from friends and family far and wide. This can be annoying if you have decided not to have kids, or you just want to go with the flow, but it’s inevitable.